Give your Honda Civic a unique, eye-catching look with added safety features! 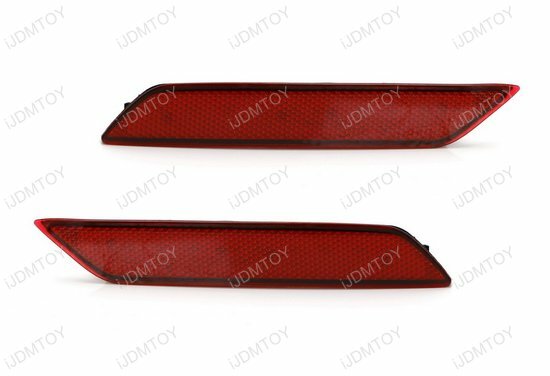 A: The 60-SMD red or smoked lens LED bumper reflector tail & brake lights are made to fit the 9th generation 2013-2015 Honda Civic sedan. 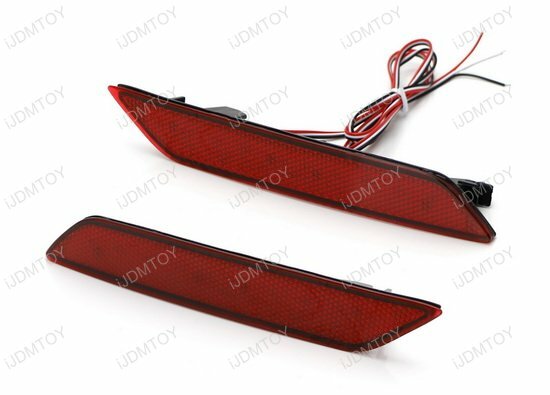 Please note this LED bumper reflector brake lamp set will not fit in the Civic coupe body. 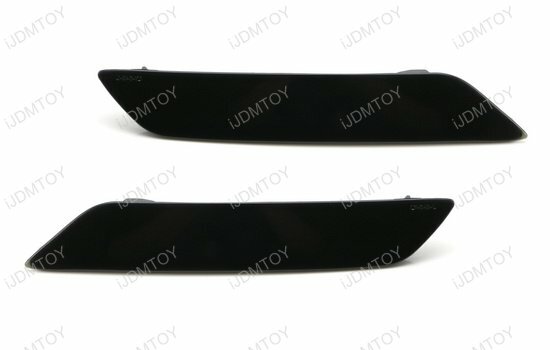 Q: How do I remove my Honda Civic's stock bumper reflectors? 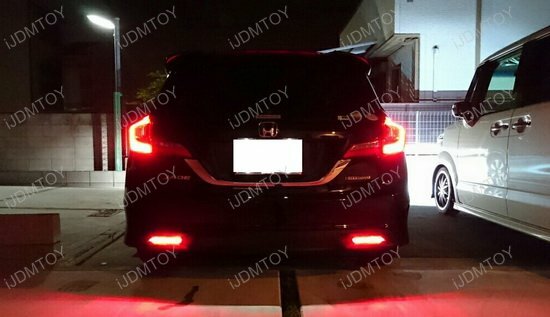 Bumper reflectors are often the most overlooked piece of equipment on a car despite it being one of the most important in terms of being seen at night. There is no helping its low placement on the rear lower bumper which makes them harder to see. 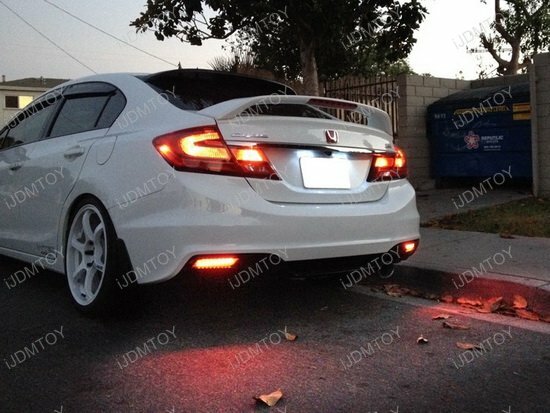 You can brighten up your bumper reflectors AND give your Honda Civic a stylish touch with the full LED bumper reflector tail/brake running fog lights! 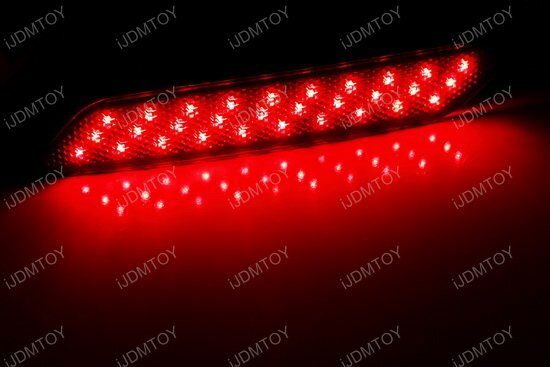 This page features the complete 60-SMD red or smoked lens full LED bumper reflector tail/brake & fog lights made to fit the 9th generation 2013-2015 Honda Civic sedan. Please note this LED product will NOT fit the coupe body of the same model years. 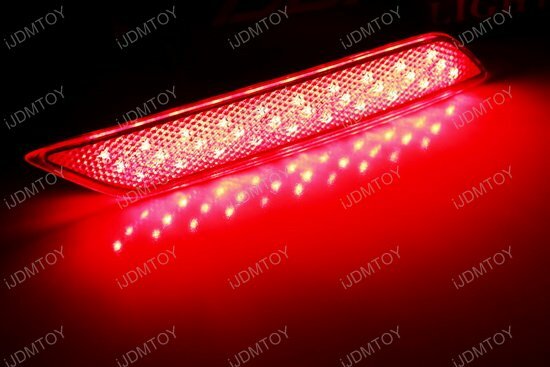 The LED kit comes complete with two red or smoked reflective-lens LED bumper reflector lights for the left and right side. 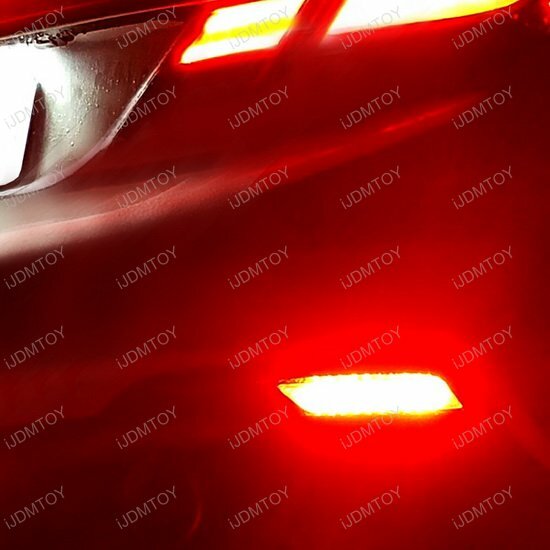 Each Honda Civic reflector LED lamp is powered by 30 pieces of brilliant red high intensity LED diodes for a combined total of 60 SMD LEDs to give your Honda Civic tail end a vibrant red shine. 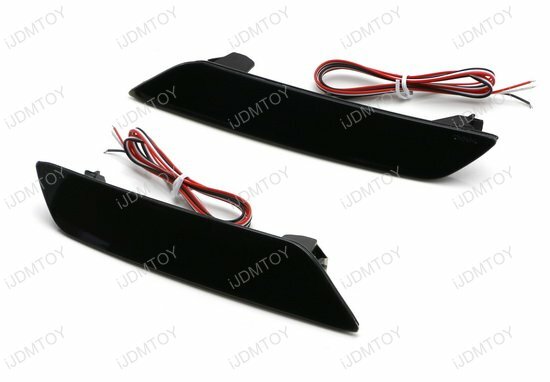 You can easily and directly replace your non-lighting bumper reflectors thanks to the OEM spec mounting design and upgrade to an LED tail, running fog, and stop light which shines brighter when applying your brakes. 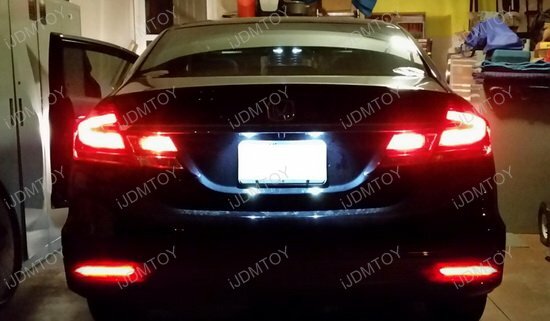 With the red lens full LED bumper reflector tail lights, your 9th gen Honda Civic sedan will realize its potential and sport a unique, eye-catching look with added safety features!